هخامنشلر (۳۳۰–۵۵۰ میلاددان اؤنجه، «۲۲۰ ایل»)، ایران حوکومت سۆرن بیر سولاسه‌دیر. ↑ Yarshater, Ehsan (1993). 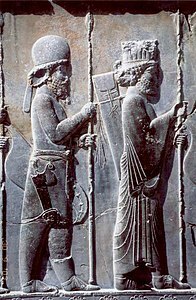 The Cambridge History of Iran, Volume 3. Cambridge University Press. p. 482. ISBN 978-0-521-20092-9. 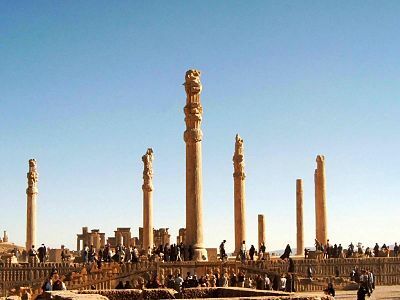 Of the four residences of the Achaemenids named by هرودوت — Ecbatana, Pasargadae or پرسپولیس، Susa and Babylon — the last [situated in Iraq] was maintained as their most important capital, the fixed winter quarters, the central office of bureaucracy, exchanged only in the heat of summer for some cool spot in the highlands. 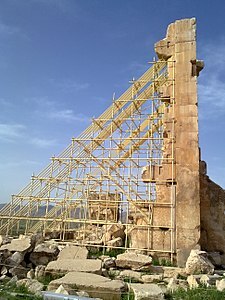 Under the سلوکیلر ایمپیراتورلوغو and the اشکانیلر the site of the Mesopotamian capital moved a little to the north on the دجله چایی — to Seleucia and Ctesiphon. It is indeed symbolic that these new foundations were built from the bricks of ancient Babylon, just as later بغداد، a little further upstream, was built out of the ruins of the ساسانیلر double city of Seleucia-Ctesiphon. ↑ Harald Kittel, Juliane House, Brigitte Schultze; Juliane House; Brigitte Schultze (2007). Traduction: encyclopédie internationale de la recherche sur la traduction. Walter de Gruyter. pp. 1194–5. ISBN 978-3-11-017145-7. 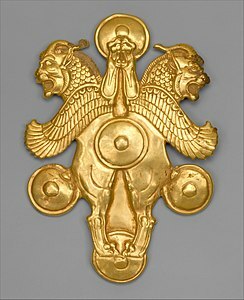 اینگیلیسجه ویکی‌پدیاسی‌نین ایشلدنلری طرفیندن یارانمیش«Achaemenid_Empire»، مقاله‌سیندن گؤتورولوبدور. 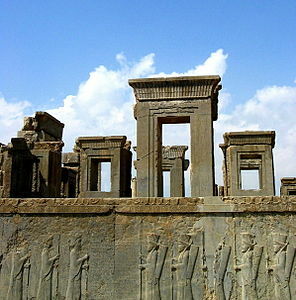 (‏۱۲ سپتامبر ۲۰۱۵ تاریخینده یوْخلانیلیبدیر).